Today I started my day off with my usual coffee and water. 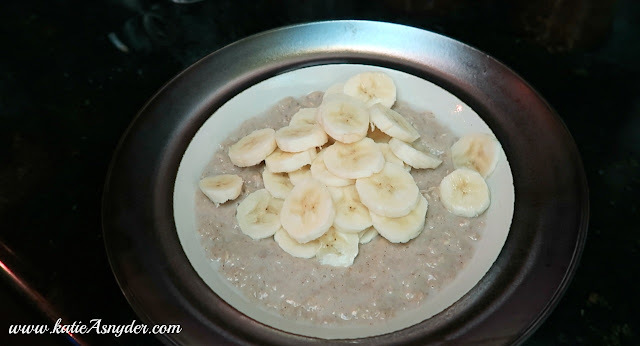 I also had my usual oatmeal, but I did change it up a bit, I used my normal almond milk, raisins, and banana, but whilst it was cooking I added in a dash of cinnamon because my doctor recently was telling me of the health benefits to cinnamon. I am not actually a big fan of cinnamon so was a bit worried I was ruining my otherwise good oatmeal, but I was so shocked how much flavor it really adds. This is going to become my new “normal”. 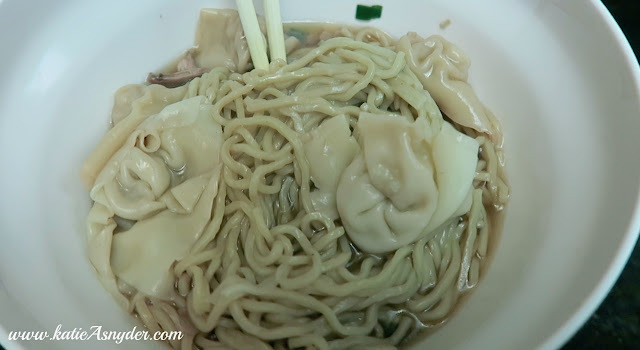 Then for lunch I had a seafood Won Ton Min, I am obsessed with Pho and Ramen at the moment so I have been eating a lot of dishes like this one, but this is hands down my favorite, it has so much flavor, and you would never guess theres no meat! 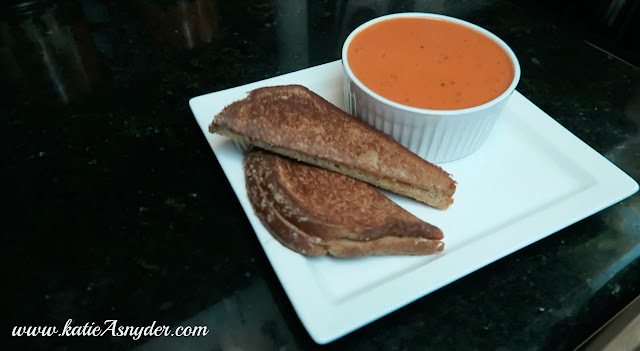 For dinner I made a grilled cheese sandwich with tomato basil soup, it has been so cool and windy here that this was not only really warming but so comforting as well. I also had a nice cup of TeaPigs Peppermint and Licorice tea, which is literally the greatest tea ever! !